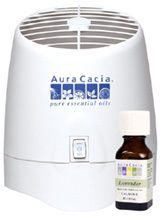 Aura Cacia Room Diffusers, Aromatherapy Vaporizer, Eye Mask! • Eye Mask Hot & Cold: Gel mask. Use cold or warm to relieve stress, tension & relax. For external use. ORDER TODAY. • Soothing Eye Lid Compress: The eyes are one of the first places to show signs of fatigue, stress or illness. The Herba-Gel based Soothing Eye Lid Compress fits directly over the lids to reduce swelling and strain. Our revolutionary herb compound gel formulation prolongs and maximizes the therapeutic benefits of the compress by harmonizing with the body's natural temperature flows-to soothe, relax, and invigorate tired, strained eyes. Herba-Gel base is on toxic. For warm and cool uses. Flexband adjusts to fit all head sizes. 8" x 2". ORDER TODAY. • Soothing Beauty Mask: Soothing Beauty Mask may be heated in the microwave or chilled in the refrigerator to provide quick, reliable relief for strained, puffy eyes, tension headaches or sinusitis. The unique Herba-Gel formulation retains temperature longer than water-based fillers, harmonizing with the body's natural flow to soothe, relax and invigorate. Herba-Gel base is non-toxic. For warm and cool uses. 10" x 4". ORDER TODAY. • Soft Hands Gel Gloves: These super-comfortable, ultra-plush gloves not only feel fantastic, but also work actively to moisturize and condition dry, dehydrated skin. Penetrates deep to hydrate and condition rough, dry skin. The secret is in the proprietary Transdermal Gel Matrix lining which continuously delivers a skin-nourishing infusion of Jojoba Oil, Vitamin E, and Olive Oil to replenish and revive. Turn back time; your hands will be softer, smoother, more supple and younger looking. For optimal results, use for 40 treatments before replacing with a new pair of gloves. WARNINGS: Do not wear if you have a skin condition such as psoriasis or eczema. Remove the gloves at least 3-4 hours daily to allow skin to breathe. Do not put on over open wounds. Fits most hand sizes. ORDER NOW! Ingredients: Gel lining contains: Hydrogenated Styrene Isoprene/Butadiene Copolymer, Jojoba Oil (Buxus Chinensis), Olive Oil (Olea Europaea), Tocopheryl Acetate (Vitamin E), Canola Oil, Grape Seed Oil (Vitis Vinifera), Soybean Extract (Glycine Max), Ceramine 3. 90% Cotton / 10% Spandex. • Pedi-Jams Gel Booties: Feel for yourself the ultra soft plush comfort that not only feels fantastic, but offers an intense moisturizing regimen (with a nourishing infusion of Jojoba Oil, Vitamin E, and Olive Oil) for your feet. Putter around the house, snuggle-up on the sofa, or go for an overnight treatment and wear Pedi-Jams Gel Booties to bed! These super-comfortable, ultra-plus Gel Slips not only feel fantastic but also work actively to moisturize and condition dry dehydrated skin. The secret is in the proprietary Transdermal Gel Matrix (TGM) lining which continuously delivers a skin-nourishing infusion of Jojoba Oil, Vitamin E and Olive Oil to replenish and revive the soles--while also mechanically cushioning the feet to help prevent blister and callus formation. Your feet will feel softer, smoother... And you will feel like you are walking on air. WARNINGS: Do not wear if you have a skin condition such as psoriasis or eczema. Remove the booties at least 3-4 hours daily to allow skin to breathe. Do not put on over open wounds. Contains 1 Pair Of Booties. Fits most foot sizes. ORDER NOW! Ingredients: Gel Lining contains: Hydrogenated Styrene Isoprene/Butadiene Copolymer, Jojoba Oil (Buxus Chinensis), Olive Oil (Olea Europaea), Tocopheryl Acetate (Vitamin E), Canola Oil, Grape Seed Oil, (Vitis Vinifera), Soybean Extract (Glycine Max), Ceramine 3. 90% Cotton 10% Spandex. • Soft-Heels™ Gel Sleeves: Comfort in every step! These gel sleeves feature a stretchy fabrication for an adjustable fit that easily slips on over your heels. Lined at the heels with a moisture-infused, soft gel padding, these SOFT-HEELS Gel Sleeves work actively to moisturize and condition dry, dehydrated skin-while also cushioning the heels to help prevent the formation of hard skin and calluses. The secret is in the proprietary Transdermal Gel Matrix [TGM] lining which continuously delivers a deep-nourishing moisture infusion to replenish and revive the heels. For SEVERE dryness and cracking at the heels, massage in your favorite heel treatment cream [we recommend our Earth Therapeutics Heel Repair] to enhance the moisturizing effects of the Soft-Heels gel lining. Heels will look and feel softer, smoother after only a few days. Gel Sleeves are reusable. For optimal results, use for 40 treatments before replacing with a new pair of Gel Sleeves. Gel Lining is latex-free and hypoallergenic. Contains one pair of SOFT-HEELS Gel Sleeves. One size fits most. ORDER NOW! Ingredients: Soft-Heels Gel Sleeves are 100% premium stretch nylon. Gel Lining is latex-free and hypoallergenic. Contoured Sleep Mask: Exclusively shaped to contour away from eyes and lashes instead of pressing up against them. Sleep Mask allows for pressure free, relaxed eye movement, and helps block out distracting light and visual stimuli. Light weight and sleek to fit comfortably around the face, this splendidly cushioned mask wraps the eyes in velvety darkness so that the mind is free to drift off into deep, relaxing sleep. Made of comfortable, latex-free polyurethane foam and polyester with adjustable, elastic Velcro straps to fit securely around the head. Mask is hand washable. • Contoured Sleep Mask Zebra: ORDER TODAY. • Contoured Sleep Mask Zebra Pink: ORDER TODAY. • Contoured Sleep Mask Hello Kitty Red: ORDER TODAY. *a good, full night's rest. ORDER TODAY. • Sleep Mask: Pink. ORDER TODAY. 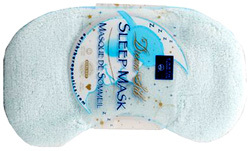 • Sleep Mask: Blue. ORDER TODAY. • Sleep Mask: Tan. ORDER TODAY. • Bamboo Sleep Mask: Bamboo Sleep Mask helps soothe tired eyes while blocking out distracting light to help you rest and relax. The natural material allows skin to breathe. Ideal for airplane or car travel, afternoon catnaps, meditation and a good night's sleep. Place over eyes and secure band around head. Mask material is made with rayon from bamboo. Rrecyclable. ORDER TODAY. • Rio Aroma Stream Diffuser: Clean, effective and economical, the Rio Aroma Stream can be used with either essential oils or fragrance oils without using a hot ring or naked flame. A stream of air simply vaporizes the essential oil keeping its fragrance pure. This avoids heating the oil which may burn it, altering its fragrance and changing its properties. Ideal for all essential oils. The 2 speed, quiet, safe operation makes the Rio Aroma Stream ideal for running overnight in bedrooms. Safe to leave running at night. Also suitable for use at work or in the office. Used and endorsed by professional aromatherapists. ORDER NOW! 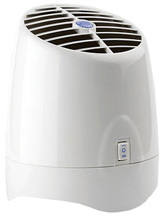 • Rio Aroma Stream Replacement Filter: Follow instructions on Aroma-Stream diffuser. ORDER NOW! Rio Aroma Stone: Traditionally crafted in glazed ceramic, the electric Aroma Stone gently warms your aromatherapy oils enhancing the atmosphere in any room. It is the clean, safe and effective way of vaporizing oils without a naked flame. Perfect for home or office, this compact electric unit is completely silent and can be used with any essential oil or synergy blend. Safe, simple to use, and easy to clean. Covers 500-800 square feet. Measures 4" diameter x 1 3/4" height and weighs 1 lb. ORDER NOW! • Rio Aroma Stone: Cobalt Blue. ORDER NOW! • Rio Aroma Stone: Off White. ORDER NOW! *This statements have not been evaluated by the Food and Drug Administration. This product is not intended to diagnose, treat, cure or prevent any disease. • Aromatherapy Vaporizer: Allows you to create blends of essential oils to match your tastes and emotions. The natural oil aromas may be used simply for pleasure or to create a relaxing, balancing or energizing moods. Your aromatherapy vaporizer is a clean, convenient and effective way of dispensing aromas. Unlike candle lamps or lamp rings, this uses a stream of air to vaporizer the essential oil without adding heat, thereby ensuring the purity of this aroma. This avoids heating the oil which may burn it, altering the aroma and changing its properities. ORDER TODAY! Contains: Vaporizer Unit, Diffusing Cartridge, Consumer Guide to Product Safety Leaflet. FREE INSIDE: 1/2 oz. Aromatherapy Blend 100% Pure Essential Oil. 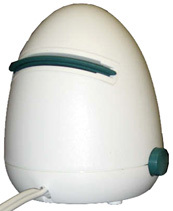 • Replacement Filter for Aromatherapy Vaporizer: Replacement Filter for Vaporizer. 4" in diameter. ORDER NOW! • Aromatherapy Diffuser Electric: Safe, portable, easy-to-use, and completely silent. This compact electric Aromatherapy Diffuser plugs in anywhere so you can enjoy the therapeutic benefits of aromatherapy every day. Completely silent, the electric heating element eliminates the need for a noisy fan so you can sleep or relax comfortably and quietly. Simply apply a few drops of pure essential oils to the pad and insert it into the unit. The heating elements will gently warm the oils and within minutes the aroma will diffuse throughout your room. Using this unit can bring forth the therapeutic benefits that can influence our moods, emotions, and memories, as well as purify the air and create a pleasing environment. Our sense of well-being can be enhanced with the pleasures of aromatherapy. For use in closed spaces up to 500 square feet. Perfect for the home, office, or travel. Instructions and 5 replaceable pads are included. ORDER NOW! • Aromatherapy Diffuser Refill Pads: For optimum results simply apply 6-8 drops of pure essential oils only to the pad and insert it into the Aromatherapy Diffuser. 10 Diffuser Pads. ORDER NOW! HEALTH RELATED/HEALTH PRODUCTS: Aromatherapy Diffuser Refill Pads, 10 ct.
• Car Diffuser: Use Aura Cacia's aromatherapy car diffuser to transform your driving routine into a rejuvenating experience. Place 4-6 drops of any 100% pure Aura Cacia essential oil or blend onto car diffuser pad. Slide the pad into the diffuser and plug into the lighter outlet. Remove the Car Diffuser when not in use. For best results, use a new car diffuser pad when switching oils. Includes 5 diffuser pads. ORDER TODAY! • Car Diffuser Refill Pads: 10 Refill Pads. For best results, use a new car diffuser pad when switching oils. ORDER NOW! • Pocket Room Diffuser: Take this innovative and discreet diffuser with you anywhere you go so slim and trim that it slides right into your purse or pocket. You can enjoy the true aromatherapy benefits of Aura Cacia's 100% pure essential oils while you wait for the bus, or sit at your desk or at home. Push the button and enjoy true aromatherapy benefits. Includes 5 refill pads. Battery included. ORDER TODAY! Car Diffuser Refill Pads, 10 ct.
• Aromatherapy Room Diffuser (Plug in): Includes 3 refill pads. ORDER TODAY! • Aromatherapy Room Diffuser Refill Pads: 10 Refill Pads. For best results, use a new room diffuser pad when switching oils. ORDER NOW! Aromatherapy Room Diffuser Refill Pads, 10 ct.
• Scent Ball Diffuser: Plug in, turn on and tune out with the most popular aromatherapy diffuser ever sold. Simply add 10-20 drops of your favorite oil to the pad. Insert the pad into the diffuser and within 5-10 minutes 2000-4000 cubic foot area will put you into an entirely new state of mind. Includes 5 long sized diffuser pads and Lavender Oil 4 ml. ORDER TODAY! • Refill Pads: Each package contains 5 diffuser pads for the Scent Ball aromatherapy diffuser. They may be used with fragrance or essential oils. Replace when pads lose Absorbency (10-20 uses each). 100% biodegradable. 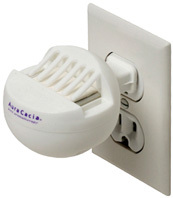 • Electric Aromatherapy Plug-In Air Freshener: Aura Cacia's Electric Aromatherapy Air Fresheners provide an aromatic and aesthetically pleasing way to refresh indoor air with natural scents derived from 100 percent pure essential oils and only natural ingredients are used for fragrance. Electric Aromatherapy Plug-In Air Fresheners for home and office, includes the essential oil blend 0.52 oz. Only for use with Aura Cacia Home Aromatherapy Refills. ORDER NOW! Electric Aromatherapy Air Freshener Refill: The refill units 0.52 oz. are interchangeable with the electric diffuser. • Refreshing Lime & Grapefruit: Evokes the crisp scent of Mexican lime trees swaying in the breeze. (You can almost hear the thump of the falling ripe fruit.) Use this aroma in your bathroom or living room to create a fresh, inviting environment for your family and guests. 0.52 oz. ORDER NOW! • Relaxing Lavender: Reminiscent of a Ukrainian meadow of flowering lavender stems. It creates a soothing environment for relaxation in the bedroom or living room. 0.52 oz. ORDER NOW! • Uplifting Bergamot & Orange: When you inhale Uplifting Bergamot & Orange, you can experience the energizing aroma of Italian bergamot oranges on a sunny afternoon. Use this aroma to create an uplifting home or office environment when you need a boost. 0.52 oz. ORDER NOW! Electric Aromatherapy Air Freshener Refill, 0.52 oz.